Pauline grew up in Northern California and moved to the Temecula area in 2000. Prior to being a full time Realtor she worked with a pool company that helped design and sell pools. In that company she was the top producer in pool sales. Pauline has been selling real estate for over 10 years and is a multimillion dollar producer. 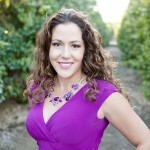 In 2015 she is one of the top 1% producers in Southwest Riverside County. Her focus is to provide amazing service to her clients and finds it extremely important to continue excellence in communication not only to clients but my other peers in the business. She continues to learn by continually attending trainings and workshops to stay on top of the best marketing tools to help sell your home. She is a full time agent and lives and breathes real estate. Pauline is always available and reliable. She is extremely aggressive in marketing and innovates new ideas to get your home sold. She is loyal to her clients and will make sure she negotiates and works hard for you to achieve your goals. Pauline loves to help and be involved in the community. She is a committee chair with charity called Operation Prom Girl that provides girls dresses and shoes for hardship families. They hold an event that the girls get to attend that provide not only the dress but is a day filled with inspiring messages, speakers, giveaways lunch and workshops. Pauline is also a committee chair with the Southwest Riverside County Young Professionals Network that brings together a network of like-minded professionals dedicated to the progression and enrichment of the Real Estate industry by equipping its members with relevant knowledge in education, technology and successful business practice tools. Pauline also has local newsletters that she provides coupons that help advertise the local business at no charge to the business owner. She is a Mother of three children and is married to her Husband of 12 years. Her Husband Mark Woelky is a broker for their two companies, United One Realty and United Loan Center. Pauline manages the real estate company and Mark manages the Residential mortgage company. Together they provide the ultimate home buying process. Pauline loves spending time with her family. Enjoys boating and riding the air chair! She loves being around people. 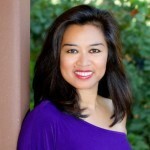 Pauline’s passionate about marketing, real estate and her clients! She genuinely love her jobs and feel so grateful to all our clients for their continued referrals. Pauline feels extremely blessed to be able to do what she loves!